On August 23, 2016, Joseph Nindorera passed away at 86. His heart’s fatigue and eagerness for eternal rest decided so. In his last hours, he would wince at the sorry souls gathered around his bed, never without trying to dupe them with a sign of vitality. He hated this bed, which made him feel as if he were already in a coffin, on the day after his own death, helplessly contemplating relatives and friends, one after the other, bowing down to his remains. This mourning, on his watch, irritated him. As if he wanted to cancel it and undo these sad faces, he mustered his strength, removed his catheters, slowly sat up in bed and then put both feet on the ground. However pale and weak, he was determined. Without a cane, turning down any help, he stood upright. Sluggishly, he put one foot in front of the other, took one step after the other, amidst gasps and dull groans. Each of his shaky footsteps seemed powered by his firm refusal to end his life as bedridden and his fierce will to die as uprightly as he lived. After long minutes, he had moved a few yards toward the solitude of his dimly lit veranda. Once there, he sat on a chair, not without some difficulty, the bust quite straight for a more dignified stance. Then, with his legs and arms crossed, he immersed himself in the deepest and most pensive of his silences, head held high, his gaze turned toward a night which bore no promise of dawn. It was in this very posture that he fell into unconsciousness forever. 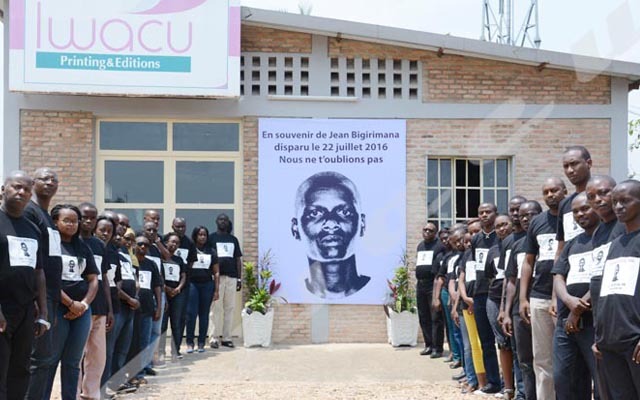 From an unwanted funeral bed to his patriarch chair, those few vacillating steps were the last he made in this world of ours, a last walk taken by one of the first and oldest endurance and recreational walkers in Burundi. This is how Joseph Nindorera died. More accurately, this is the way he lived. At death’s doorstep, he fought his last battle here on earth to bequeath to his family a profound life lesson : however slim, build on your own strength, live and die with dignity.